It was a movie that always seemed to be on TV when I was growing up in the ‘80s. Maybe it was because it satisfied Canadian content requirements, maybe because it was the highest grossing Canadian movie for a long time, or maybe a combination of both. The images of “Meatballs” are burned in my mind, and I was thinking about that movie last month when I heard that Harvey Atkin, one of the main actors in “Meatballs” had passed away at age 74. 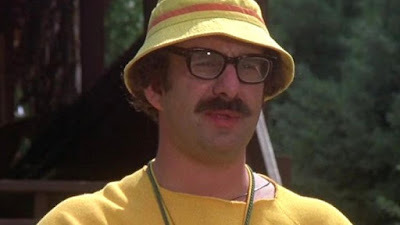 But there was more to Harvey Atkin then playing a camp counsellor. He would act at home and go Stateside where he became a mainstay on one of the most durable police dramas of the 1980s. “Meatballs” was a coming of age movie that, along with “Caddy Shack”, really introduced the world to the comic genius of Bill Murray. It was a coming of age movie set at a summer camp, and there are still quotes from it that ring through my memory. The foil for Murray’s comedic hijinks in the movie was Morty Melnick, played by Harvey Atkin. He would go on to earn a Genie nomination for the role. Although the movie came out in 1979, I saw it on CTV during the 1980s. in "Cagney and Lacey". Atkin appeared in 95 episodes of the police drama. 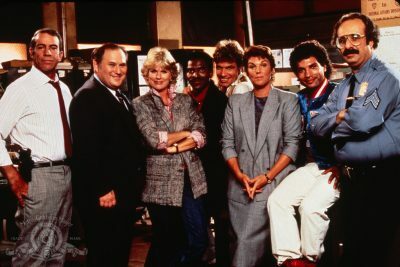 When “Cagney and Lacey” went from being a television movie to becoming a full-fledged series, I was surprised to see that Canadian actor Al Waxman was playing the man in charge of the station the two female detectives were stationed at. I was equally surprised to see that Sergeant Ronald Coleman, one of the only uniformed police officers in a squad room of plain clothes detectives, was played by another actor familiar to Canadian audiences – Harvey Atkin. He would go on to appear in 95 episodes of “Cagney and Lacey”, running from 1982 to 1988. He would go on, in the years to follow, to play a recurring role as a judge in “Law and Order”; “Law and Order: Special Victims Unit”; and “Law and Order: Criminal Intent”. He had made his mark as a guest star in American network television. There are so many Canadian actors, in the 1980s in particular, who were known in their native land for work they did on the few Canadian shows that existed. So many of them remained hidden gems, who either never ventured to Hollywood, or just never caught on. Harvey Atkin, like his fellow Canadian actor Al Waxman, was one of the exceptions. After a breakout role in "Meatballs", one of the most successful Canadian movies of the decade, and a productive career on Canadian television, he found his niche in Hollywood. With that trademark Groucho Marx look, he was part of a talented ensemble cast on “Cagney and Lacey”, which proved to be one of the most durable police dramas of the decade. It is nice to see Canadians break into the U.S. market, and Harvey Atkin may have been one of the first. That makes him, if not a pioneer, at least a trailblazer of some measure.